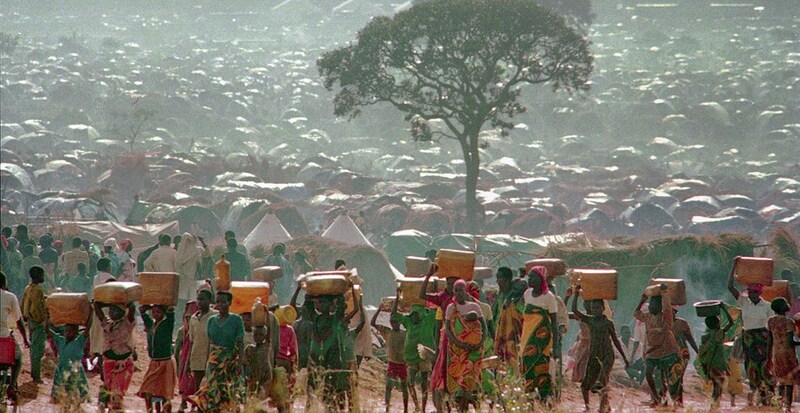 In early December 1996, the Tanzanian government ordered the closure of all four camps occupied by more than 480,000 Rwandan refugees and forced them out at gunpoint back to Rwanda. But for hundreds of them, instead of heading home, they ended up in Burundi, DR Congo and Southern Africa nations. The ones with money and connections chose Europe as the final destination. But as KT Press reports, one name sends chills of horror when mentioned to genocide survivors who lived in the Tanzanian camps – all located in Ngara district of Kagera region which directly borders Rwanda. 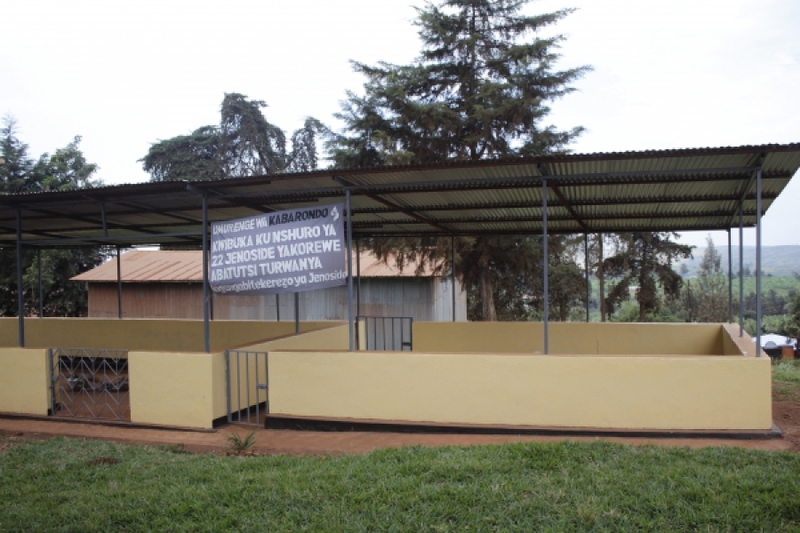 When the Genocide against Tutsis erupted on April 7, 1994, some 3500 people sought refuge at Kabarondo catholic parish in Kabarondo commune – currently Kabarondo sector in Kayonza district, Eastern Rwanda. The church was attacked six days later by combined genocide interahamwe militia and government troops. More than 2,000 Tutsis perished here. Among the survivors was 11 year-old Justin Ndizeye. 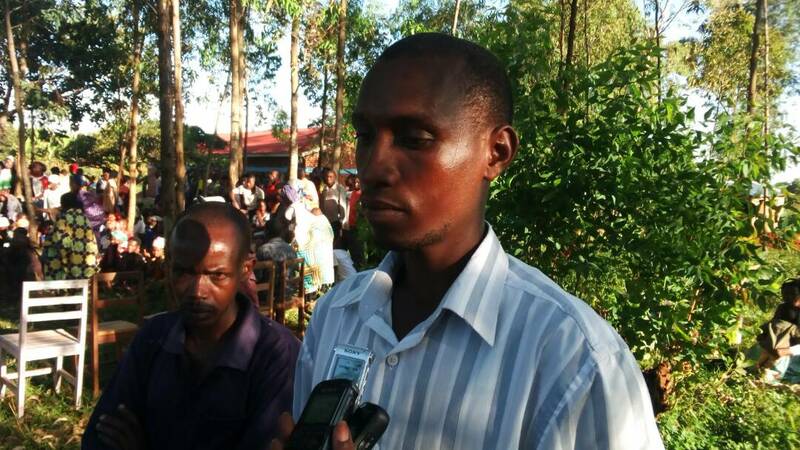 He managed to join columns of Rwandans who arrived at the Tanzanian border on the night of the same day April 13. On the Tanzanian side, Ndizeye remembers “Tutsis” were separated from the huge crowd – taken to Gahaza Refugee Camp while “Hutus” were dispatched into three camps – Benako, Lumasi and Musuhura. All were several kilometers apart, but close to Rwanda. “I did not know why we Tutsis were taken to a separate camp, but we found it was near a police station,” narrates Ndizeye. Despite being a young boy – in the weeks that followed, Ndizeye recognized a man who had been a burgomaster (mayor) of Kabarondo commune Octavien Ngenzi as he regularly came to their camp with groups of men. The same face had commanded the attack on the church. Ndizeye remembers other camp occupants had also recognized Ngenzi. Several former refugees who spoke to KT Press, some of them who were with Ngenzi during the regular travels to the camp holding Tutsis, confirmed that Ngenzi organized raids in places where Tutsis had settled. “I remember very well we would wake up in the morning to find out that a whole family has gone missing,” said Ndizeye, who is now 34 years old, and lives in same place where he survived. Desperate to escape the continued killings, many refugees fled to Burundi. Ndizeye was again part of the trek. Genocide survivor Pelagie Bugenimana was 16 years when she and many people arrived at Tanzanian border on April 15, also fleeing the massacres in Rwanda. As they moved in a large group of the displaced, Bugenimana remembers seeing a man carrying a gun and he was at the front of interahamwe militias at Rwanteru which is near the Tanzania border. She passed through the checkpoints because she had mingled together with “Hutus”. On the Tanzania side, Bugenimana continued in the refugee trail which headed to Benaco camp. As explained above, the camp was occupied by “Hutus”. In the Benaco camp, she noticed the man she saw back in Rwanda with a gun leading militias. Camp residents spoke about him regularly calling him Octavien Ngenzi. Rumours had also been circulating in the camp that some people had organized themselves to conduct operations in Benaco camp described as ‘chasing away Mwenge demons’. In that area, Tanzanians usually carried out cleansing rituals on what were called ‘Mwenge demons’. For the operations in Rwandan camps, that was code for attacks on Tutsis homes. The turning point came in mid-1995. Information emerged confirming that Bugenimana and all Tutsis who had managed to survive were going to be killed. “We escaped from Benaco camp as it became dark and walked back to Rwanda,” says Bugenimana. Rwanda had been stabilized back in July 1994 and was under a broad-based government bringing together the Rwandan patriotic front (RPF) and other parties. So who is this man Octavien Ngenzi whose name keeps coming up? The people we interviewed all recognised Ngenzi when KT Press showed them an old photo of him. He has also not changed much today – 24 years later. 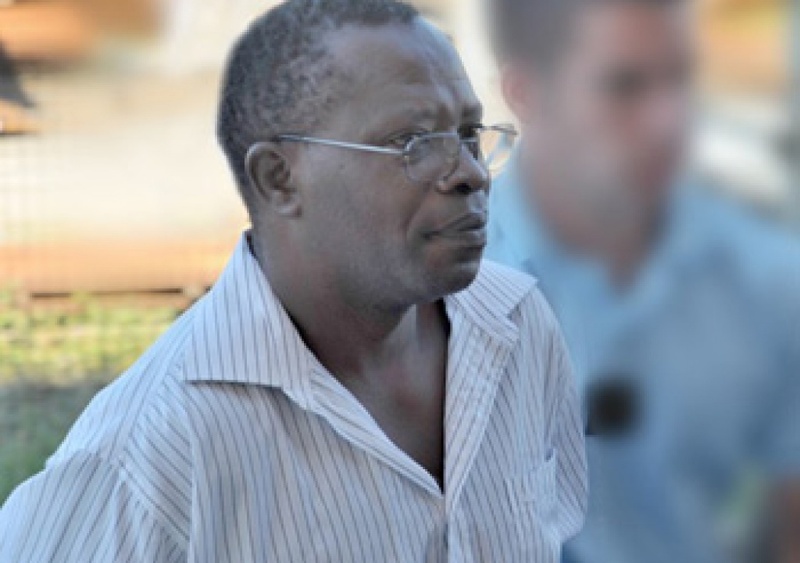 Octavien Ngenzi is the man being tried by an appeals court in Paris – France, along with Tito Barahira. The duo was sentenced to life in prison in July 2016. They are behind bars thanks to Collectif des Parties Civiles pour le Rwanda (CPCR), a France based non-governmental organization that has been battling to bring before court all genocide fugitives in France. During the 1994 Genocide against the Tutsi, Barahira was a local director in Kabarondo commune for Electrogaz the utilities provider. He formerly served as Bourgmester of Kabarondo until 1986. He was also chairperson of the ruling MRND party in Kabarondo. Ngenzi had succeeded Barahira as the Bourgmester – so they know each other very well. The story of how Ngenzi ended up in France sounds like a spy movie. When the Tanzanian government ordered all Rwandan refugees out during the first week of December 1996, media reports at% the time say columns of Rwandan refugees moved south west towards Burundi, east deep into Tanzania and north towards Kenya. Many would end up in Zaire – now DR Congo. It emerged at the time that camp leaders had spread propaganda among refugees to scare them from going home. As was the practice in camps for Rwandan refugees, the people who had been officials in Rwanda – became camp leaders. Octavien Ngenzi had established himself among Benaco camp leaders. The same scare tactic is still being used today by camp leaders in DRC, Malawi, Zambia and others where Rwandans are adamant to repatriate. An itinerary presented during the court trial shows that from Tanzania, Ngenzi fled to Kenya where he changed names to Jean Marie Vianney Ntaganira. He then moved to the Indian Ocean island of Comoros where he again changed his name to Jean Marie Omar. He disguised himself as a Muslim immigrant from Tanzania. KT Press has established that Ngenzi adopted the name Jeam Marie Omar while still in Tanzania – which he used to enter Kenya. In April 2009, Rwanda’s genocide fugitives tracking unit had managed to track Ngenzi and issued an arrest warrant against him for genocide. On June 2, the following year 2010, the French campaign group CPCR filed a criminal complaint in a Paris lower court accusing him of genocide. A day later, French police took him into custody in reaction to a barrage of global headlines. Back in Tanzania before the refugee camps were closed, another genocide survivor Bernadette Tuyisenge, 22 years at the time, narrated to KT Press her ordeal in the Benaco camp. She arrived at the border on April 13 along with many others from north eastern regions of Rwanda. The white driver did not make any intervention. The car drove off. The ditch was covered with the victim alive, according to Tuyisenge. Somehow, they spared her and she returned to the camp. She has vivid memories of her time in Benaco camp and also clearly recognized Octavien Ngenzi in photos. She says there were regular meetings in Benaco camp organized by Ngenzi and another man she remembers by the name Ntawuviwabo. During the early days following arrival in Tanzania, rumours had been spreading that there were many lions in the surrounding forests. Camp leaders including Ngenzi moved around telling people to light up their stoves at night – as well as beat drums, jerry cans and oil tins, or anything that would make noise to scare away the lions. There was always chaos during the nights. But the next day, some people had disappeared. During the same period, people were killed in what the mobs called “chasing away Mwenge demons”. But how could such killings have gone on without being noticed by the local authorities, if there were any. KT Press found out that some Rwandans escaping war had arrived and settled in Ngara district even before the genocide had started in Rwanda. When the mass massacre of Tutsis erupted, tens of thousands of refugees arrived in the same region. They established what came to be like communities especially along main roads. As more and more arrived, the Tanzanian authorities together with UNHCR and ICRC gazetted the areas as camps in late May 1994 – weeks after the refugees had arrived. Some Tutsis were able to survive because they refused to go to refugee camps and stayed in centers set up by ICRC where the agency kept its supplies and treated the sick. One such center was a few yards inside the Tanzania side of the border. It was first point of entry for many refugees before they continued to the camps.